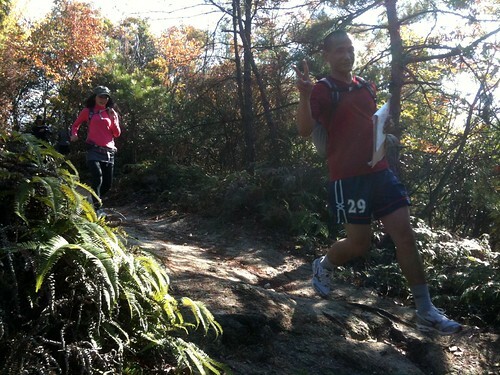 Today’s Hiroshima Jin University trail run class was a great success. The weather was beautiful (I got a bit of a sunburn) and the autumn colors at Mitaki were stunning. 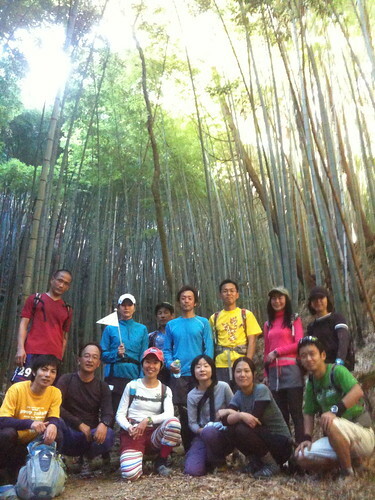 Thanks to class leader Eiko Nishida for coming all the way down from Tokyo to inspire a group of 9 trail novices. We had a real range of participants; one complete beginner, a couple who had just run their first 5km at the Peace Marathon earlier this month, a few who run a few times a week, all the way up to a guy who had posted a very good time in his first full marathon recently. Most of the runners were forsaking the road for a trail for the first time, and in spite of the wide range of abilities the group worked very well together.